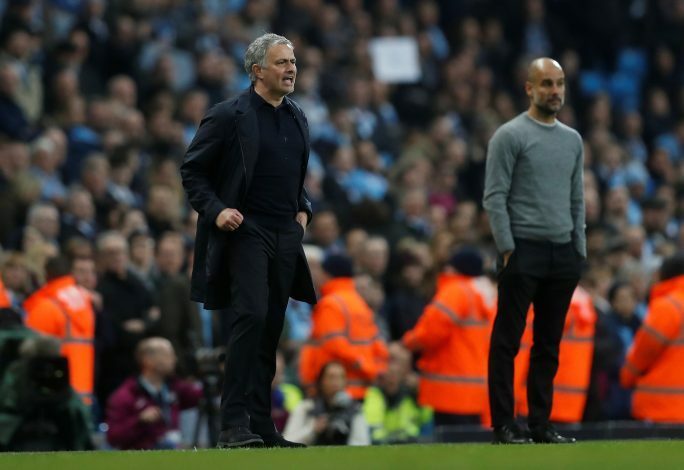 Manchester United did the unexpected and stole City’s thunder quite well on Saturday, when the Red Devils held their bitter rivals to a 3-2 defeat at home, ending a long-held streak and delaying a party that was eagerly anticipated. While City took the lead via goals from Kompany and Gundogan early in the first half, a victory looking all but certain, United did what they do best. A quick two were regained by Paul Pogba in a matter of just two minutes, before a sprinting Chris Smalling was rewarded with an easy winner to seal the three points for the Reds. Jose Mourinho was delighted with the victory, and his lack of a chatty mood during Friday’s press-conference certainly seemed amended after the full-time whistle. In fact, the Portuguese gaffer had a quick talk with Guardiola after the victory was secured, and many were burning to know what might have transpired between the two managers. This is due to an unexpected saga wherein Guardiola revealed on Friday that Pogba was offered to him by the player’s agent, Mino Raiola, in January. To this, Mourinho had responded by claiming that either Guardiola or Raiola had to have been lying. Turns out, the two didn’t, in fact, talk about the absurd Pogba move, and Mourinho went on to reveal what he actually said: “I congratulated Man City for the title. They are frustrated because they wanted to win the title today because they deserve it.